Ellis’s tea room is open seven days a week, from 10am to 4pm during weekdays and from 10am to 4.30pm at weekends and at special events. 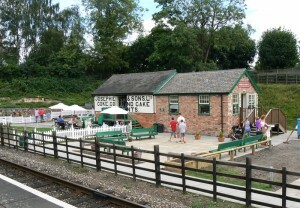 It serves hot and cold drinks, delicious homemade cakes, sandwiches, light lunches and ice creams. For visitors to the Great Central Railway it is an excellent place to unwind, relax and enjoy some refreshments. Recently extended, there's also a special viewing area outside where you can get close to our historic steam engines as the run past. A haven for families, why not drop in for lunch at any time? We've been described as 'a real find'. We're also fully wheelchair accessible and have baby changing facilities. Children will be enchanted by the garden railway right alongside which runs at weekends. Ellis’s, named after the building it’s in, was built in 1899 when the Great Central Railway was opened. Local firm Joseph Ellis and Sons Ltd used it to store corn and coal, ready to be collected by wagons and sent around the country by train. The building fell out of use well before the GCR was preserved but has now been fully restored and carefully converted. 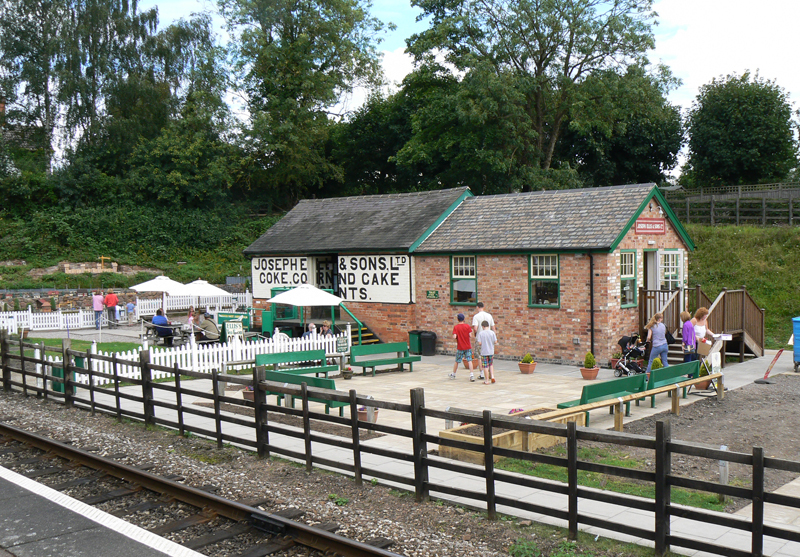 If you're looking for something different at Rothley, on running days you could try the station tea room on the platform. Afternoon Tea at Ellis’s Tea Room - fancy an afternoon tea whilst watching the trains go past? 10am to 4pm - seven days a week.